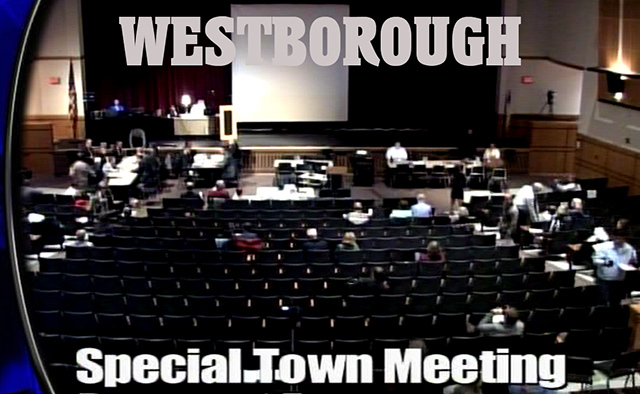 The Westborough Town Meeting held at the Westborough High School on October 16th and 17th is now available for viewing anytime On Demand by clicking the links below. There were 36 articles on this fall’s warrant and a good chance that many (if not all!) of those items impacted you in some way, shape or form. Special Town Meeting began Monday evening October 16, 2017 and was continued to Tuesday, October 17, 2017. The anticipation of a high number of attendees due to the vote on the new WHS field and lights came true, with over 1300 people in attendance over the course of the evening Monday night, while Tuesday night was around 120. (Both the field and lights passed by a 2/3rds majority).